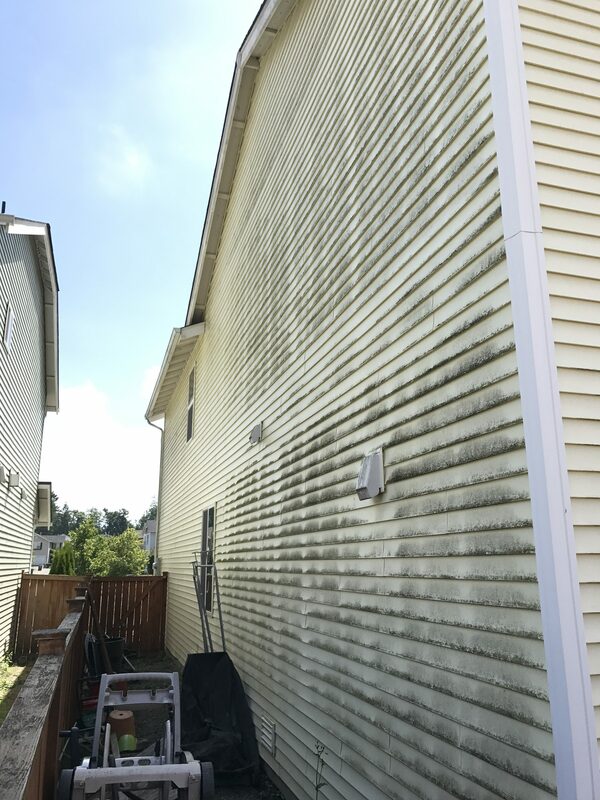 With normal wear and tear the siding on your home eventually develops ugly stains. The go-to method for getting rid of these stains is normally to make use of the services of a professional cleaning company that utilizes special pressure washing equipment to clean dirty surfaces. Pressure washing is often erroneously linked to property damage such as blown-out window seals, damaged paintwork, and destruction to landscaping. Upon closer investigation, it will probably become evident that these experiences were due to DIY efforts with a hired pressure washer or inappropriate use of high-pressure equipment by inexperienced contractors. Most homeowners have never even heard of the term “soft washing” which is a special method of pressure washing that incorporates the use of low-pressure nozzles attached to the end of a pressure washing wand or gun. When combined with special biodegradable chemicals, these special nozzles are able to remove biological elements such a mold, pollen, moss, dirt, algae, and other stains without damaging the surface of the siding or killing nearby plants in the garden. 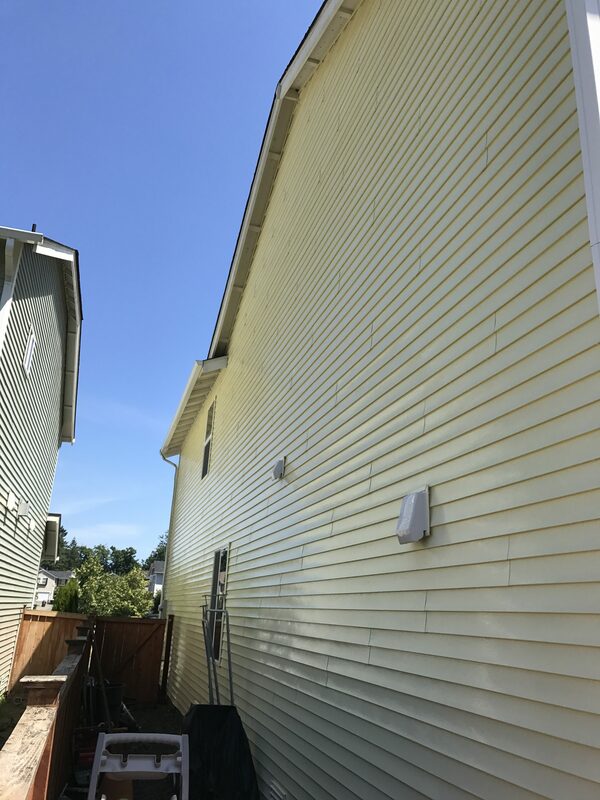 Soft washing can be used to safely and thoroughly clean all types of surfaces including your siding, roof, patio, deck, fence, and other surfaces while maintaining the masonry and painted surfaces for longer. Experience and skilled pressure washing experts know that full pressure of about 4,000 psi using a surface cleaner that diffuses pressure through 2 nozzles should only be used to pressure wash extremely hard surfaces like concrete. Both soft washing and high-pressure washing are done by skilled pressure washing technicians using commercial pressure washing machines to properly dilute and distribute certain chemicals appropriate for the particular application. During the washing process, the right pressure ratio is applied for the particular surface being cleaned. Pressure washing the exterior surfaces of your home, whether it is vinyl, stucco, or wood, is a carefully constructed process that should only be done by qualified experts in the pressure washing industry. Hiring a professional contractor to correctly perform the task is a smart and worthwhile investment. Washing experts are specially trained to know exactly which nozzle extensions, chemical mixtures, and pressure ratios to apply in order to achieve the best cleaning results on different types of surfaces. 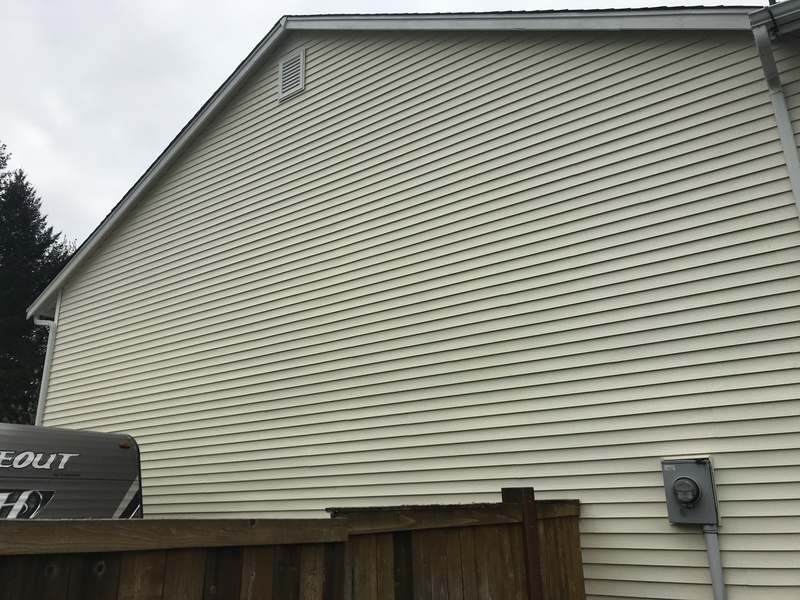 Homeowners who assume that pressure washing the siding on their home is as easy as washing a car run the risk of causing costly damage to their property that can sometimes be permanent. Soft washing is particularly suitable for vinyl siding. Correct application of the right chemicals, heat, and low pressure are some of the key ingredients to a successful outcome. When using nothing but pressure from a machine as a cleaning agent you run the risk of water intrusion underneath the vinyl. This is an incorrect technique for washing any surface, including vinyl. Before hiring a pressure washer from your local hardware store you should consider the option of hiring an insured contractor with many years of experience in the industry to perform the pressure washing services you need quickly, safely, and effectively. In the long run, this could save you a significant amount of time and money to restore possible damage that occurs.